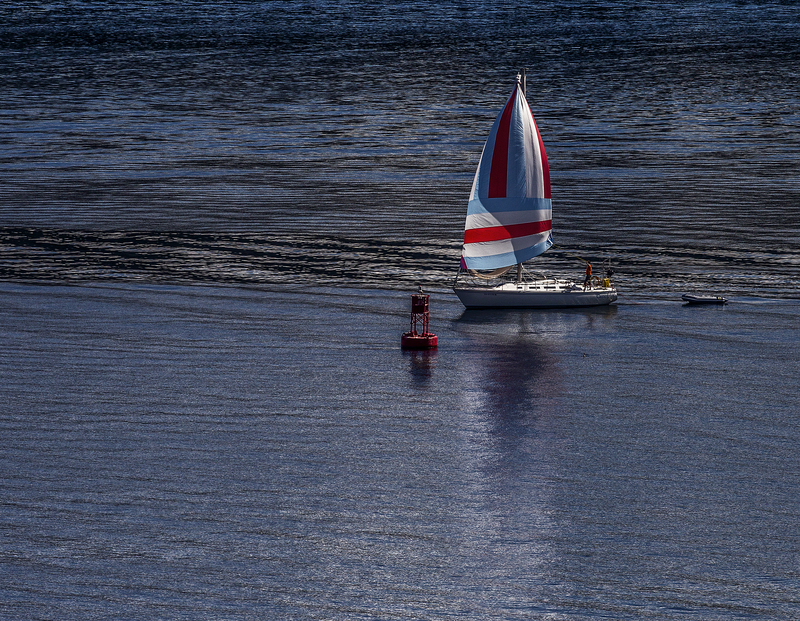 A sailboat approaches the buoy by the sandbar Monday afternoon. Sure looks like summer is making an encore appearance this week. The weather geeks say the high today will hit 71 degrees, almost 10 degrees warmer than last week. It will be mostly cloudy but, according to the forecast, no rain in sight. At all. All week. The birds know it. My lovely bride and I stood out on our deck Monday afternoon and listened to a riotous performance by the birds. It sounded as if flocks of them gathered up on our treetops and talked all at once. “That sounds amazing,” my lovely bride said.